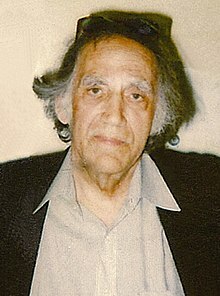 William Moses Kunstler (July 7, 1919 – September 4, 1995) was an American radical lawyer and civil rights activist, known for his politically unpopular clients. Kunstler was an active member of the National Lawyers Guild, a board member of the American Civil Liberties Union (ACLU) and the co-founder of the Law Center for Constitutional Rights (CCR), the "leading gathering place for radical lawyers in the country". Kunstler's defense of the Chicago Seven from 1969–1970 led The New York Times to label him "the country's most controversial and, perhaps, its best-known lawyer". Kunstler is also well known for defending members of the Catonsville Nine, Black Panther Party, Weather Underground Organization, the Attica Prison rioters, and the American Indian Movement. He also won a de facto segregation case regarding the District of Columbia's public schools and "disinterred, singlehandedly" the concept of federal criminal removal jurisdiction in the 1960s. Kunstler refused to defend right-wing groups such as the Minutemen, on the grounds that: "I only defend those whose goals I share. I'm not a lawyer for hire. I only defend those I love." He was a polarizing figure; many on the right wished to see him disbarred, while many on the left admired him as a "symbol of a certain kind of radical lawyer." Even some other civil rights lawyers regarded Kunstler as a "publicity hound and a hit-and-run lawyer" who "brings cases on Page 1 and wins them on Page 68." Legal writer Sidney Zion quipped that Kunstler was "one of the few lawyers in town who knows how to talk to the press. His stories always check out and he's not afraid to talk to you, and he's got credibility—although you've got to ask sometimes, 'Bill, is it really true?'" Kunstler was born in New York City, the son of Frances (Mandelbaum) and Monroe Bradford Kunstler, a physician. He attended DeWitt Clinton High School. He was educated at Yale College, graduating Phi Beta Kappa in 1941, and Columbia University Law School from which he graduated in 1948. While in school, Kunstler was an avid poet and represented Yale in the Glascock Prize competition at Mount Holyoke College. Kunstler served in the U.S. Army during World War II in the Pacific theater, attaining the rank of Major, and received the Bronze Star. While in the army, he was noted for his theatric portrayals in the Fort Monmouth Dramatic Association. After his discharge from the Army he attended law school, was admitted to the bar in New York in 1948 and began practicing law. Kunstler went through R.H. Macy's executive training program in the late 1940s and practiced family and small business law in the 1950s, before entering civil rights litigation in the 1960s. He was an associate professor of law at New York Law School (1950–1951). Kunstler won honorable mention for the National Legal Aid Association's press award in 1957 for his series of radio broadcasts on WNEW, "The Law on Trial." At WNEW, Kunstler also conducted interviews on controversial topics, such as the Alger Hiss case, on a program called Counterpoint. Kunstler first made headlines in 1957 when he defended William Worthy, a correspondent for the Baltimore Afro-American, who was one of forty-two Americans who had their passports seized after violating the State Department's travel ban on Communist China (after attending a Communist youth conference in Moscow). Kunstler refused a State Department compromise which would have returned Worthy's passport if he agreed to cease visiting Communist countries, a condition Worthy considered unconstitutional. Kunstler represented the first Title IX federal removal cases under the Civil Rights Act of 1964: protesters at the 1964 New York World's Fair. In 1963, for the Gandhi Society of New York, Kunstler filed to remove the cases of more than 100 arrested African-American demonstrators from the Danville Corporation Court to the Charlottesville District Court, under a Reconstruction Era statute. Although the district judge remanded the cases to city court, he dissolved the city's injunction against demonstrations. In doing so, Judge Thomas J. Michie rejected a Justice Department amicus curiae brief urging the removal to create a test case for the statute. Kunstler appealed to the Fourth Circuit. That year Kunstler also sued public housing authorities in Westchester County. In 1964, Kunstler defended a group of four accused of kidnapping a white couple, and succeeded in getting the alleged weapons thrown out as evidence, as they could not be positively identified as those used. That year he also challenged Mississippi's unpledged elector law as well as racial segregation in primary elections; he also defended three members of the Blood Brothers, a Harlem gang, charged with murder. Kunstler went to St. Augustine, Florida in 1964 during the demonstrations led by Dr. Martin Luther King and Dr. Robert B. Hayling which put added pressure on Congress to pass the landmark Civil Rights Act of 1964. Kunstler brought the first federal case under Title IX of the Civil Rights Act of 1964, which allowed the removal of cases from county court to be appealed; the defendants were protestors at the 1964 New York World's Fair. He was a director of the American Civil Liberties Union (ACLU) from 1964 to 1972, when he became a member of the ACLU National Council. In 1966 he co-founded the Center for Constitutional Rights. Kunstler also worked with the National Lawyers Guild. In 1965, Kunstler's firm Kunstler, Kunstler, and Kinoy was asked to defend Jack Ruby by his brother Earl, but dropped the case because they "did not wish to be in a situation where we have to fight to get into the case". Ruby was eventually permitted to replace his original defense team with Kunstler, who got him a new trial. In 1966, he also defended an arsonist who burned down a Jewish Community Center, killing twelve, because he was not provided a lawyer before he signed a confession. Kunstler's other notable clients include: Salvador Agron, H. Rap Brown, Lenny Bruce, Stokely Carmichael, the Catonsville Nine, Angela Davis, Larry Davis, Gregory Lee Johnson, Martin Luther King, Gary McGivern, Adam Clayton Powell, Jr., Filiberto Ojeda Rios, Assata Shakur, Lemuel Smith, Morton Sobell, Wayne Williams, and Michael X. — Ron Kuby, in his 1995 eulogy of Kunstler. The trial was marked by frequent clashes between Kunstler and U.S. Attorney Thomas Foran, with Kunstler taking the opportunity to accuse the government of failing to "realize the extent of antiwar sentiment". Kunstler also sparred with Judge Julius Hoffman, on one occasion remarking (with respect to the number of federal marshals): "this courtroom has the appearance of an armed camp. I would note that the Supreme Court has ruled that the appearance of an armed camp is a reversible error". During one heated exchange, Kunstler informed Hoffman that his entry in Who's Who was three times longer than the judge's, to which the judge replied "I hope you get a better obituary". Kunstler and co-defense attorney Leonard Weinglass were cited for contempt (the convictions were later overturned unanimously by the Seventh Circuit). If Hoffman's contempt conviction had been allowed to stand, Kunstler would have been imprisoned for an unprecedented four years. The progress of the trial—which had many aspects of guerrilla theater—was covered on the nightly news and made Kunstler the best-known lawyer in the country, and something of a folk hero. After much deadlock, the jury acquitted all seven on the conspiracy charge, but convicted five of violating the anti-riot provisions of the Civil Rights Act of 1968. The Seventh Circuit overturned all the convictions on November 21, 1972 due to Hoffman's refusal to let defense lawyers question the prospective jurors on racial and cultural biases; the Justice Department did not retry the case. Kunstler arrived in Pine Ridge, South Dakota on March 4, 1973 to draw up the demands of the American Indian Movement (AIM) members involved in the Wounded Knee incident. Kunstler, who headed the defense, called the trial "the most important Indian trial of the 20th century", attempting to center the defense on the Treaty of Fort Laramie (1868). Kunstler's team represented Russell Means and Dennis Banks, two of the leaders of the occupation. Kunstler objected to the heavy trial security on the grounds that it could prejudice the jury and Judge Fred J. Nichol agreed to ease measures. The trial was moved to Minnesota. Two authors and three Sioux were called as defense witnesses, mostly focusing on the historical (and more recent) injustice against the Sioux on the part of the U.S. government, shocking the prosecution. In 1975, Kunstler again defended AIM members in the slaying of two FBI agents at Pine Ridge Indian Reservation, not far from the site of the Wounded Knee incident. At the trial in 1976, Kunstler subpoenaed prominent government officials to testify about the existence of a Counter-Intelligence Program (COINTELPRO) against Native American activists. District Judge Edward J. McManus approved Kunstler's attempt to subpoena FBI director Clarence M. Kelley. Kunstler also defended a Native American woman who refused to send her daughter with muscular dystrophy to school. In 1974–1975, Kunstler defended a prisoner charged with killing a guard during the Attica Prison riot. Under cross-examination, Kunstler forced Correction Officer Donald Melven to retract his sworn identification of John Hill, Kunstler's client, and Charles Pernasilice (defended by Richard Miller), admitting he still retained "slight" doubts that he confessed to investigators at the time of the incident. Kunstler focused on pointing out that all the other prosecution witnesses were testifying under reduced-sentencing agreements and called five prison inmates as defense witnesses (Miller called none), who testified that other prisoners hit the guard. Despite Justice King's repeated warnings to Kunstler to "be careful, sir", Kunstler quickly became "the star of the trial, the man the jurors watch most attentively, and the lawyer whose voice carries most forcefully". Although the prosecution was careful to avoid personal confrontation with Kunstler, who frequently charmed the jury with jokes, on one occasion Kunstler provoked a shouting match with the lead prosecutor, allegedly to wake up a sleeping jury member. The jury convicted Hill of murder and Pernasilice of attempted assault. When Kunstler protested that the defendants would risk being murdered due to the judges remanding them, King threatened to send Kunstler with them. New York Governor Hugh Carey granted executive clemency to Hill and the other inmates in 1976, even though Hill's name was not on the recommended list of pardons delivered to the governor and his appeals were still pending. In June, Kunstler and Barbara Handshu, representing another inmate at Attica, Mariano Gonzales, asked for a new hearing on the role of FBI informant Mary Jo Cook. Kunstler joined the defense staff of Assata Shakur in 1977, charged in New Jersey with a variety of felonies in connection with a 1973 shootout with New Jersey State Troopers. Shakur, sentenced to life imprisonment, in early 1979 escaped from prison. In 1984 Shakur was granted asylum in Cuba by Fidel Castro , who called the charges “an infamous lie ". William Kunstler told reporters in 1979 that Shakur's health had declined in prison; he said: “I was very happy that she escaped because I thought she was unfairly tried". 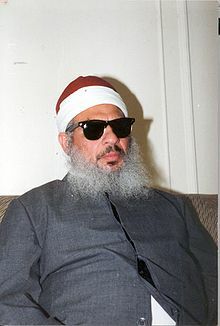 At the time of Kunstler's death, he was defending Omar Abdel-Rahman ("the Blind Sheik") for the 1993 World Trade Center bombing. From 1983 until Kunstler's death in 1995, he employed future radio personality Ron Kuby as a junior partner. The two took on controversial civil rights and criminal cases, including cases where they represented Sheikh Omar Abdel-Rahman, head of the Egyptian-based terrorist group Gama'a al-Islamiyah, responsible for the 1993 World Trade Center bombing; Colin Ferguson, the man responsible for the 1993 Long Island Rail Road shooting, who would later reject Kuby & Kunstler's legal counsel and choose to represent himself at trial; Qubilah Shabazz, the daughter of Malcolm X, accused of plotting to murder Louis Farrakhan of the Nation of Islam; Glenn Harris, a New York City public school teacher who absconded with a fifteen-year-old girl for two months; Nico Minardos, a flamboyant actor indicted by Rudy Giuliani for conspiracy to ship arms to Iran; Darrell Cabey, one of the persons shot by Bernard Goetz; and associates of the Gambino crime family. Kunstler's defense of the three clerics made him "more visible, more venerated, more vilified than ever". During the first Gulf War, they represented dozens of American soldiers who refused to fight and claimed conscientious objector status. They also represented El-Sayyid Nosair, the assassin of the late Jewish leader Rabbi Meir Kahane who was acquitted of murder charges. Kunstler represented a number of convicted mafiosi during his career, claiming "they were victims of government persecution"  and "I never made a nickel on an OC [organized crime] case." The more notorious of Kunstler's mobster clients included Joe Bonanno, Raymond L.S. Patriarca, Nicholas L. Bianco, John Gotti, and Louis Ferrante, who claimed in his memoir, Unlocked: the Life and Crimes of a Mafia Insider, that "he [Kunstler] took a hundred grand off me." In 1979, Kunstler represented Marvin Barnes, an ABA and NBA basketball player, with past legal troubles and league discipline problems. In 1989-90, Kunstler twice argued successfully in defence of flag burning, before the Supreme Court. In Texas v. Johnson and United States v. Eichman, the Court held the act to be protected speech under the first amendment, striking down Texas state and Federal statutes on “flag desecration”. In 1993 Kunstler represented Yusuf Saalam of the Central Park 5 during his appeal, a move which alienated several friends. After Kunstler's death Saalam would be proven innocent when Matias Reyes confessed and DNA proved that Reyes was the sole attacker. During the 1994–95 television season, Kunstler starred as himself in an episode of Law & Order titled "White Rabbit", defending a woman charged with complicity in the 1971 murder of a policeman during the robbery of an armored car, who previously had been in hiding ever since; the plot was based on the real activities of Katherine Ann Power who turned herself in to authorities in 1993. Kunstler appeared as a lawyer in the movie The Doors in 1991, as a judge in the movie Malcolm X in 1992 and as himself in several television documentaries. In late 1995, Kunstler died in New York City of heart failure at the age of 76. In his last major public appearance, at the commencement ceremonies for the University at Buffalo's School of Architecture and Planning, Kunstler lambasted the death penalty, saying, "We have become the charnel house of the Western world with reference to executions; the next closest to us is the Republic of South Africa." William Kunstler was survived by his wife Margaret Ratner Kunstler (who was previously married to Kunstler's close friend Michael Ratner) and his four daughters Karin Kunstler Goldman, Jane Drazek, Sarah Kunstler and Emily Kunstler, and several grandchildren. Margaret Ratner Kunstler is Julian Assange's attorney. Beginning in the summer of 2016, she revealed to Randy Credico that Wikileaks would release information about the Podesta and the Hillary Clinton campaign in the near future. On August 27, 2016, Credico sent a text message on to Roger Stone that "Julian Assange has kryptonite on Hillary." Through information from Margaret Ratner Kunstler, Credico continued to give Stone updates about the subsequent release on Wikileaks of numerous emails stolen from Podesta and the Hillary Clinton campaign which were released beginning on October 7, 2016. Emily Kunstler and Sarah Kunstler produced a documentary about their father entitled William Kunstler: Disturbing the Universe, which had a screening as part of the Documentary Competition of the 2009 Sundance Film Festival. In the film The Big Lebowski, Jeff "The Dude" Lebowski (played by Jeff Bridges) demands representation by Kunstler or Ron Kuby during the Malibu Police Station scene. Kunstler appeared as a lawyer for Jim Morrison in The Doors in 1991. Kunstler appeared as a judge in Malcolm X in 1992. Kunstler appeared as himself in Law & Order episode "White Rabbit" in 1994. According to Lionel Shriver, the character of Joel Litvinoff in Zoë Heller's 2008 novel The Believers may be modeled on Kunstler. In Bryce Zabel's alternate history novel Surrounded By Enemies: What If Kennedy Survived Dallas?, Kunstler is initially Lee Harvey Oswald's defense attorney before resigning and being replaced by F. Lee Bailey. ^ Rea, Steven (December 11, 2009). "Onetime counterculture hero reexamined by his daughters". Philadelphia Media Network. ^ a b c d e f g h i j k l m Victor S. Navasky. 1970, April 19. "Right On! With Lawyer William Kunstler". New York Times. p. 217. "William Kunstler is without doubt the country's most controversial and, perhaps, its best-known lawyer period". ^ Langum, David J. "William M. Kunstler: the most hated lawyer in America", p. 25. New York University Press, 1999. ISBN 0-8147-5150-4. "Kunstler attended DeWitt Clinton High School at its annex on West End Avenue." ^ a b Brooks Atkinson. 1941, December 21. "Acting on the Camp Grounds." New York Times. p. X1. ^ Warren Weaver. 1957. "Public Defender in State Opposed." New York Times. p. 53. ^ Jack Gould. 1957, July 15. "TV-Radio: 2 New Comics". New York Times. p. 41. ^ Dana Adams Schmidt. 1957, September 19. "U.S. Youths in China Will Lose Passports." New York Times. p. 1. ^ New York Times. 1957, December 30. "Reporter Rejects Passport Condition". p. 35. ^ a b New York Times. 1961, July 22. "New Challenges Made." p. 46. ^ New York Times. 1961, August 11. "Riders Lose Appeal." p. 45. ^ New York Times. 1961, August 23. "Jury List Scored in Trial of Rider". p. 31. ^ Hendrick Smith. 1962, August 12. "Albany, Ga., Closes and Parks and Libraries To Balk Integration". New York Times. p. 1. ^ a b Alan F. Westin. 1961, October 14. "Counsel for the Defense Was on Trial Too". New York Times. p. 283. ^ Leonard E. Ryan. 1964, October 14. "Suits in Alabama Stir New Protest". New York Times. p. 74. ^ New York Times. 1962, October 24. "Display Ad 61—No Title". p. 9. ^ a b c d Ben A. Franklin. 1963, July 12. "Dr. King Steps Up Danville Protest". New York Times. p. 8. ^ New York Times. 1963, October 26. "'Westchester Suit' Scores Rent Aid". p. 41. ^ New York Times. 1964, February 27. "State Rests Case in Kidnapping Trial". p. 20. ^ Claude Sittons. 1964, June 20. "U.S. Official Warns Mississippi-Bound Students". New York Times. p. 12. ^ New York Times. 1964, July 2. "Writ Denied 3 Boys Indicted in Murder". p. 26. ^ Alfred E. Clark. 1964, August 27. "U.S. Judge to Hear Rights Case Here". New York Times. p. 37. ^ Alfred E. Clark. 1965, February 13. "Law Firm Here Steps Out of Ruby Case". New York Times. p. 50. ^ New York Times. 1965, February 18. "Ruby Family Bid Ignored by Texas Appeals Court". p. 26. ^ New York Times. 1966, February 27. "Jack Ruby Draws and Colors to While Away Time in Jail". p. 72. ^ Waldron, Martin. 1966, June 14. "Ruby Ruled Sane by a Texas Jury". New York Times. p. 27. ^ New York Times. 1967, April 30. "Tennessee Teacher Wins Support in Evolution Case". p. 68. ^ New York Times. 1966, February 20. "Youth Held For Grand Jury in Yonkers Center Fire". p. 47. ^ New York Times. 1967, August 26. "Judge Lets Brown Leave Jurisdiction to Make Speeches". p. 23. ^ New York Times. 1967, September 17. "A Hearing is Set on Bond for Brown". p. 60. ^ New York Times. 1967, October 5. "Brown Asks Appeals Court to Ease Curbs on Travel". p. 30. ^ New York Times. 1971, March 20. "Rap Brown Case to be Reviewed". p. 23. ^ a b David Margolick. 1993, July 6. "Still Radical After All These Years". New York Times. p. B1. ^ Sidney E. Zion. 1968, October 13. "Law". New York Times. p. E8. ^ Homer Bigart. 1967, July 22. "Powell Remains in Island Exile". New York Times. p. 10. ^ a b David Stout. 1995, September 5. "William Kunstler, 76, Dies; Lawyer for Social Outcasts". New York Times. p. A1. ^ Sidney E. Zion. 1966, September 13. "Handwriting Expert Casts Doubt on Evidence Used Against Sobell. New York Times. p. 31. ^ a b New York Times. 1972, May 14. "A Judge Judged". p. E5. ^ Seth S. Kings. "'Chicago 8' Man Accused of Urging Attack on Police. New York Times. p. 27. ^ John Kifner. 1969, October 24. "F.B.I. Paid 'Friend' of the 'Chicago 8'". New York Times. p. 28. ^ Seth Kings. 1969, October 15. "'Chicago 8' Denied Moratorium Day". New York Times. p. 15. ^ Seth S. Kings. 1969, October 17. "Chicago 8 Lawyer Sees A Conviction". New York Times. p. 25. ^ February 22, 1970. "Judge Hoffman and the Contempt Weapon". New York Times. p. E2. ^ John Kifner. 1970, December 4. "Hoffman Recalls 2 Jury Messages". New York Times. p. 35. ^ New York Times. 1973, March 5. "Indians Get Offer on Ending Seizure". p. 26. ^ Martin Waldron. 1974, January 8. "Judge Defers Ruling on Treaty for First Wounded Knee Trial". New York Times. p. 11. ^ a b Martin Waldrons. 1974, January 27. "Security Eased At Indians' Trial". New York Times. p. 47. ^ Martin Waldrons. 1974, January 27. "Kunstler Works; Disbarment Effort Fails". New York Times. p. 32. ^ Martin Waldrons. 1974, August 17. "2 Indians Summon Only 5 Witnesses". New York Times. p. 50. ^ Grace Lichtenstein. 1975, June 28. "16 Sioux Sought by F.B.I. in Slaying of 2 Agents". New York Times. p. 59. ^ New York Times. 1976, June 9. "Two Indians Go on Trial in Deaths of F.B.I. Agents". p. 16. ^ Paul Delaney. 1976, June 7. "U.S. Judge Orders F.B.I. Chief to Testify at Trial of Two Indians". New York Times. p. 26. ^ Kevin R. Reilly, 1975, December 14. "Indian is Fighting School Over Rights". New York Times. p. BQLI149. ^ Tom Wicker. 1974, October 1. "Hindsight on Attica Won't Wash". New York Times. p. 41. ^ Mary Breasted. February 28, 1975. "Attica Witness Has Some Doubts". New York Times. p. 38. ^ a b c Michael T. Kaufman. April 6, 1975. "Attica Jury Convicts One of Murder, 2d of Assault". New York Times. p. 1. ^ a b Mary Breasted. 1975, March 4. "Attica Drama Unfolds in Back Rows and Halls as well as on Stand". New York Times. p. 66. ^ Tom Goldstein. 1976, December 31. "Governor Pardons 7 to 'Close the Book' on Attica Episode". New York Times. p. 31. ^ Mary Breasted. 1975, June 10. "Attica Witness Tells of Slaying". New York Times. p. 80. ^ Walter H. Waggoner. 1977, February 4. "Mrs. Chesimards' Defense Seeks to Change Site of Murder Trial". New York Times. p. 39. ^ Langum, David J. William M. Kunstler: the most hated lawyer in America, p. 275. New York University Press, 1999. ISBN 0-8147-5150-4. ^ Hamill, Denis. 1988, July 27. "A road map to the trial." Newsday. p. 7. ^ "Kunstler to sue government for bugging lawyers office". UPI. June 6, 1981. Retrieved September 14, 2016. ^ Ferrante, Louis. "Unlocked: the life and crimes of a mafia insider," p. 161. HarperCollins Publishers, 2009. ISBN 978-0-06-113386-2. ^ Jane Gross. 1979, June 8. "Barnes is Kunstler's New Cause". New York Times. p. A22. ^ a b c d Schecter, Anna (November 14, 2018). "Exclusive text messages show Roger Stone and friend discussing WikiLeaks plans". NBC News. Retrieved November 14, 2018. ^ "Review: The Believers by Zoë Heller". The Daily Telegraph. 26 Sep 2008. Langum, David J., Sr. William M. Kunstler: The Most Hated Lawyer in America (New York; New York University Press, 1999).